David Lord spends his waking hours keeping abreast of what’s happening in the world of sport around the world and is one of the pre-eminent voices on sport in Australia. David has been deeply involved in two of the biggest sporting stories - with World Series Cricket in 1977 and professional rugby in 1983. In those early days of WSC, David was managing Jeff Thomson and Vivian Richards. Withdrawing “Thommo” from the original WSC ended up in the High Court of England, described by David as “not a top tourist resort”. 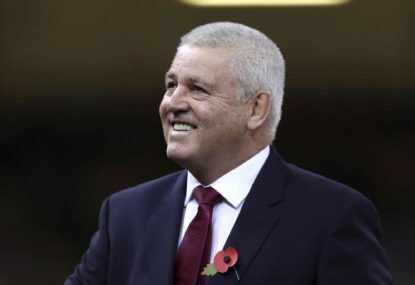 In 1983 he signed 208 of the best rugby players from Australia, New Zealand, Fiji, England, Ireland, Scotland, Wales and France to play an international pro circuit. 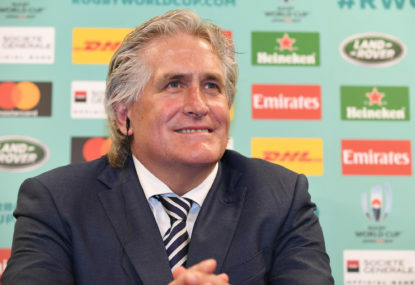 The concept didn’t get off the ground, but it did force the IRB to get cracking and bring in the World Rugby Cup, now one of the world’s great sporting spectacles every four years. 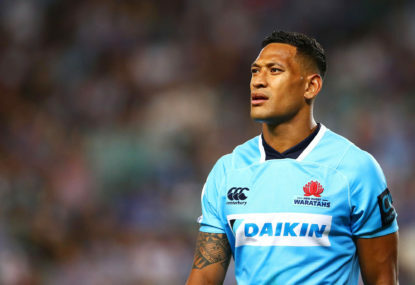 Israel Folau is perfectly entitled to commit rugby – and rugby league – suicide by his homophobic outbursts on Instagram, but he’d not entitled to put a loose around the necks of his totally innocent, and yet to be born, children. Royal Randwick will be chockers and millions will be watching live on television, all set to farewell the mighty mare Winx. 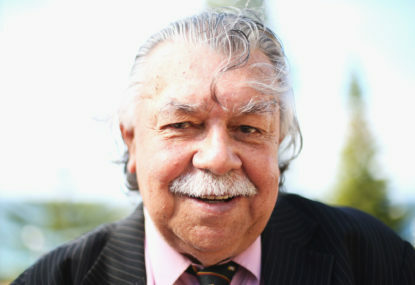 Former Wallaby winger Lloyd McDermott died on the weekend aged 79, leaving a legacy for the indigenous community which will live forever. 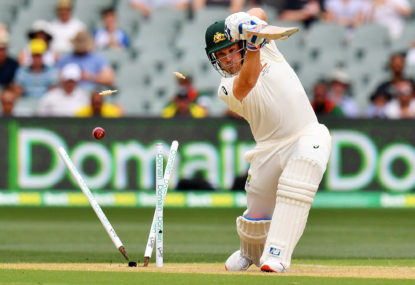 How is David Warner's imminent return viewed by the punters? Drop David Warner’s name into the conversation and there are three distinct reactions. There are three defining dates this year that can dramatically lift the Wallaby’s sagging status, and they all surround Isi Naisarani. 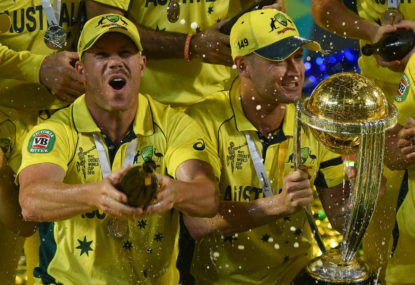 If the ICC team and player world rankings were the definitive guidelines to World Cup chances, Aaron Finch’s troops will be wasting their time turning up in England. 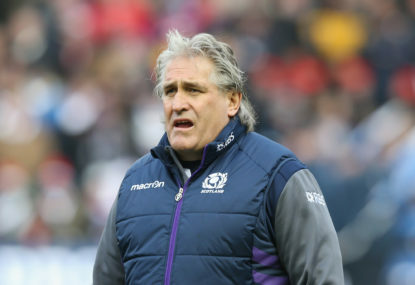 When Scott Johnson left Twickenham for the last time as Scotland’s director of rugby, he had witnessed one of the greatest fight-backs in Six Nations history. Last night, Aaron Finch was just ten runs short of becoming the first Australian to score three successive ODI centuries. Social media has gone into meltdown, savaging Ravi Ashwin for Mankading England’s Jos Buttler in an IPL clash. What absolute rubbish. 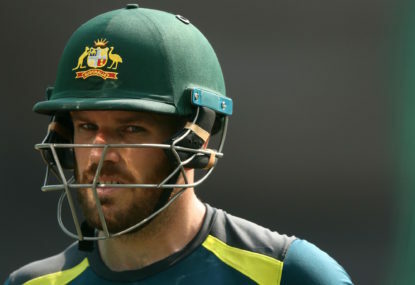 Aaron Finch and Bernard Foley are two very successful Australian sportsmen, but both were in danger of the flick after a string of poor performances. 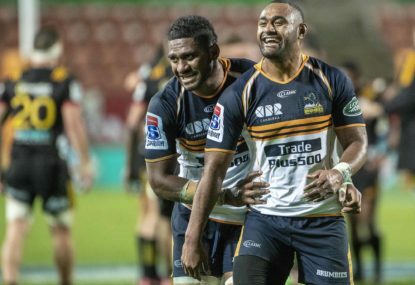 This will be the first time on Michael Cheika’s watch there will be two others – Scott Johnson and Michael O’Connor – who will have an equal say in selections. ouch, winning anything is NEVER EVER meaningless, you have obviously forgotten when the Australian cricketers couldn’t beat time, let alone opponents. Prez, don’t leave it there, name an all-rounder who will be more beneficial to the campaign than Steve Smith, or Shaun Marsh? VG, the closest Australian to an international all-rounder is Pat Cummins – game, set and match. Please don’t give us Mitchell Marsh. 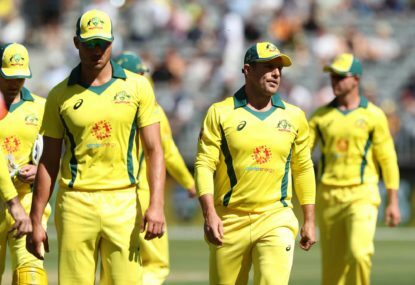 Warner and Finch will be a far more destructive pairing, Khawaja to stabilise if one is dismissed early, Smith and Maxwell to get on with it, leaving Marsh and Handscomb to do the stabilising of a Carey dungerBob is so keen to salute with Cummins, Starc and Richardson who can all bat. Three very different spinners for tracks that will turn, but only two can play at a time. 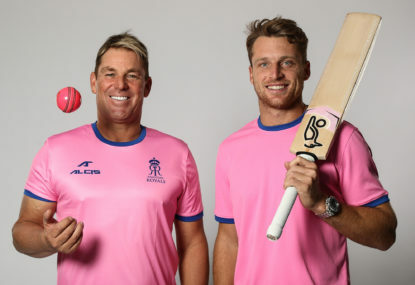 Most World Cup sides will sport two spinners every game. dungerBob, the only reason Alex Carey gives the current lower order some stability is because David Warner and Steve Smith aren’t there. I will remind you Doctordbx of that comment after the World Cup when Beale has had a highly successful campaign. Doctordbx, there’s plenty of already contracted talent to select from, Wallaby rugby sure doesn’t need Latu, Phipps or AAC. 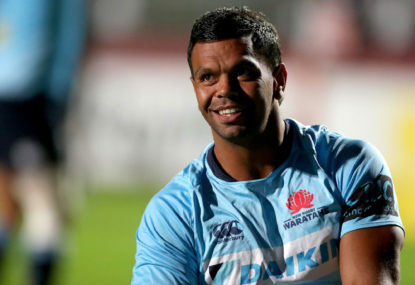 Prediction – Beale will be a dominant Wallaby come World Cup time, especially with Cooper inside him, and Kerevi outside. Fionn, playing Mason say 10 minutes every week isn’t rotation, that’s simple game plan strategy off the bench. Rotation is totally excluding top players from all 80 minutes – wrong. Doctordbx, you have taken my comment out of context. I mentioned Scotland’s outstanding comeback against England, and the Waratahs upset win over the Crusaders as the last game Scott Johnson was involved in with the Scots as director of rugby, and effectively the first as Australian director of rugby – the timing Doctordbx, not any previous games. I’m not being wise after the event Jeff, I’m saying rotation is wrong. The best footballers are paid the most money to be on duty at every game to win a Super Rugby title, that’s the first priority. Once that campaign is over, then the priority is the World Cup. KCOL, agree with the vast majority of your points, but my point is how can the Waratahs, a centrally located franchise, boast so many Wallabies on their roster who can turn in sub-district fourth grade standard rugby as easily as they have their fans on their feet with spectacular rugby? 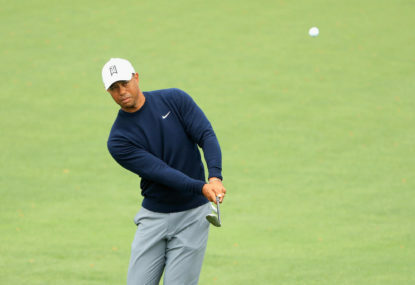 Paul, Finch got lucky, and he was the first to agree he was frustrated he didn’t turn over the strike more often, he kept finding fieldsmen with deadly accuracy. And don’t dismiss Pat Cummins’ 3-9 as being the equal of Handscomb and co, Cummings had to pick up the slack where the batsmen nearly blew it. You can bet on 266 not winning too many World Cup games, and Finch will need to regularly feed Warner the strike in the Australian games. Insult, read my answer to Paul just above, you bet I’m serious. Paul, you say my comments are false, that couldn’t be further from the truth. How about doing some homework before you start throwing stones in glass houses. For starters, 266 is not a winning score, only 55 percent are successful. Pat Cummins made it a winning score by claiming 3-9, dismissing three of the top four Pakistan batsmen early. Finch was the main problem in posting just 266. He was dismissed on the fourth ball of the 42nd over. You have rated Finch a boundary hitter, and that’s a fair call, yet in 136 deliveries he hit one six, and five fours – very uncharacteristic. 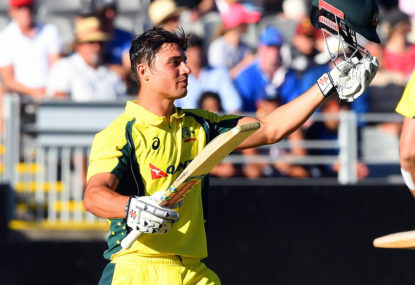 More importantly, he faced 74 dot balls in a team total of 153, so the other 79 dot balls were spread among the other seven Australian batsmen who took strike. Bottom line Paul, it’s your claims that are proven false. Graham, for Steve Smith to bowl his leggies, his elbow surgery had better be 100 per cent healed. Correct Paul, 50-over cricket isn’t ALL about belting, but it is ALL about turning over the strike. For Finch to chalk up 74 dot balls on his own in a team total of 153 is unacceptable, thanks to him constantly finding fieldsmen. PW, the ball obviously comes into play as soon as the bowler commences his approach. Until he delivers, the non-striker must hold his ground. Pretty simple, hardly poorly-worded. Kersi, I so idolised The Don I read his “How to play cricket” and “Farewell to Cricket” books dozens of times as a cricket mad kid in shorts, and that’s why I was always a walker, and never left the non-striker ground before the bowler had delivered, because The Don said so. There was an over-rider to leaving too far, just in case my batting partner smacked a straight drive so hard it touched the bowler on the way that could cannon into the stumps to run me out. 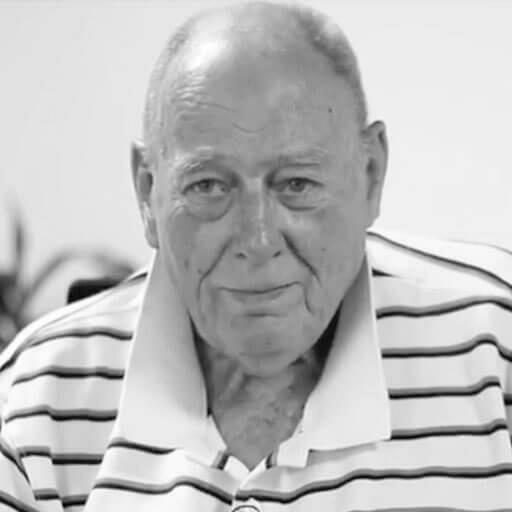 There were three other Don Bradman musts that I strictly followed, moving in with the bowler in the field towards the batsman, scratching a mark on the ground so I could return to exactly where the captain originally placed me, and always backing a return from a team mate to stop over-throws. Simple musts, but very effective basic cricket The Don’s way. Your first comment PP V11 is right on the money, the rest would be comic relief for awhile, but become boring if overdone. Totally wrong TCL, Buttler screwed himself. When Ashwin stopped in his final stride yesterday Buttler was well out of his crease which translates to him illegally leaving his ground well before Ashwin would have delivered. By your own admission Nathan, Buttler was cheating long before Ashwin would have delivered the ball. Geez yourself Nathan, by your own admission, and in fact, Buttler was out of his crease (cheating) when Ashwin stopped his delivery, so on your bike Jos for a second time. 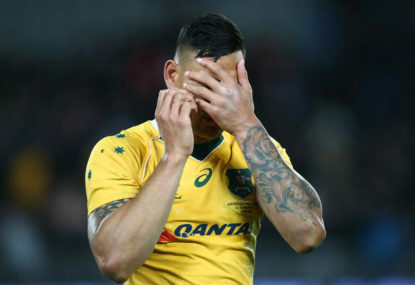 liquorbox, Rugby Australia’s worst decision was signing Michael Hooper to a five-year $6 million contract when he wasn’t even the best seven in the country, and that’s still the case. 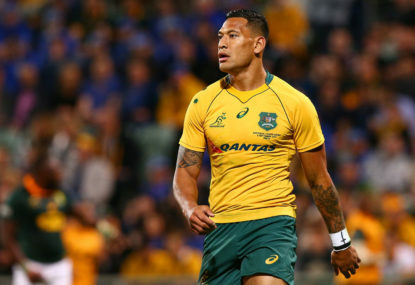 On top of that he is Wallaby captain by default, taking over when David Pocock was the incumbent, but missed two years with successive knee reconstructions. But don’t overlook the fact this column is all about what the selectors will do, not my thoughts. And there’s no way Hooper will be dumped altogether to sit back with his feet up spending six mill over five years doing nothing. You blokes obviously don’t know Scott Johnson, nor Michael O’Connor, you seem to think Michael Cheika will steamroll them into backing whatever team he wants. Nothing could be further from the truth, and if Cheika thinks that he’s in for a rude awakening. 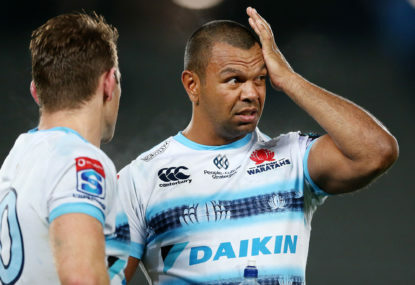 Johnson, and O’Connor, by their very nature are both strong-willed, and very experienced, so there will be many times when Cheika will be outvoted 2-1. Besides, Rugby Australia didn’t select Johnson, and O’Connor, just to be a rubber stamp for Cheika. They were put there to reign in Cheika to stop out of form players being selected, and others being selected out of position. And that’s exactly what will happen. Papi, my suggestion is as far removed from political correctness as you can get, it’s recognising that there wouldn’t be rugby league if it was only the players who coached themselves, and ran the game as well. It takes a lot of people in the overall mix, and the best of them deserve a lot more recognition than they currently get. It’s a pretty fair bet Papi you were born long after television coverage became blanket. But prior to television it took word pictures in the stories Tom Goodman, Ernie Christensen and Alan Clarkson wrote in newspapers, with Frank Hyde and Tiger Black making rugby league come alive through radio with their version of word pictures from the sideline in the rain. They did it tough, but they were the foot soldiers in making rugby league the sport it is today. Why deny them the recognition they deserve long after their death? And to call them mediocre is an insult. When will Wayne Bennett be a Hall of Famer and an Immortal? Morning Max, obviously you had nothing better to do at 8.29am.